We tell about the gold mask of Agamemnon. 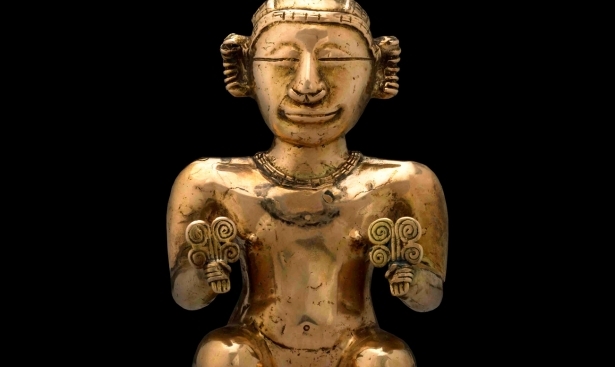 Archaeology holds many puzzles connected with ancient artifacts and historical findings. 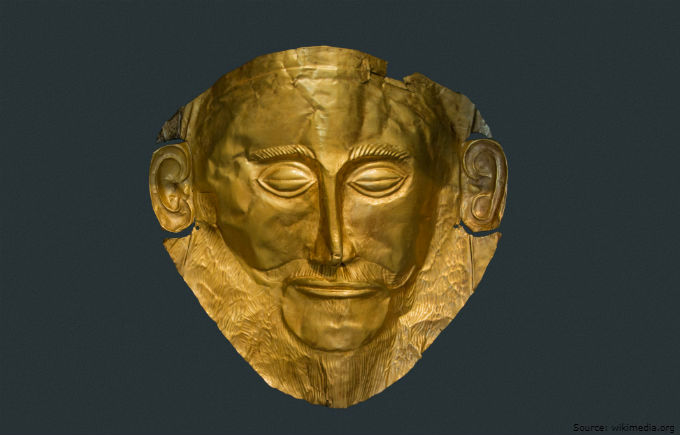 We lift the veil of secrecy and debunk the myth about the origin of the gold mask of Agamemnon. 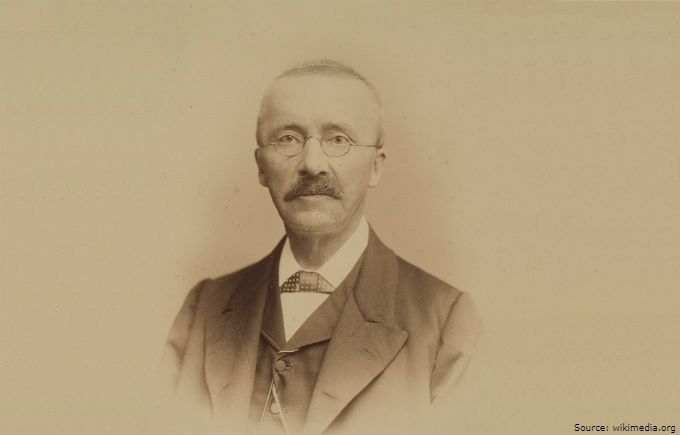 German archaeologist and ethnographer Heinrich Schliemann conducted excavations in the Peloponnese in the acropolis of the ancient Mycenae in 1876. After four months of painstaking work at the entrance gates of the upper city, the scientist discovered a valuable artifact - a gold funeral mask. Along with the mask, Schliemann found numerous gold jewelry in a large circular burial: earrings, diadems, buckles. The total weight of the precious item was 15 kilograms. Schliemann was sure that he had discovered the tomb of the legendary King Mycenae - Agamemnon, his charioteer Eurymedon, the prophetess Cassandra and their friends, who were murdered by Agamemnon's wife - Clytemnestra and her lover. In the photo: German archaeologist and entrepreneur Heinrich Schliemann, one of the founders of field survey. Mycenae – the ancient center of Mycenaean culture, the ancestress of Greek civilization. The city is located in the Peloponnese and dates back to the second millennium BC. Now Mycenae is in ruins. Agamemnon was the King of Mycenae in Greek mythology, the most powerful ruler of ancient Greece, the leader of the Greek troops in the Trojan War, one of the main heroes of the ancient Greek epic poem "Iliad" by Homer. 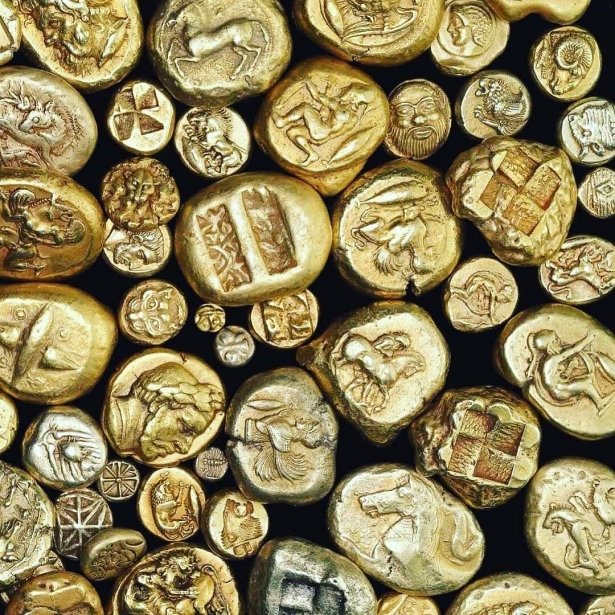 King Agamemnon was famous for his nobility, courage and his infinite riches. 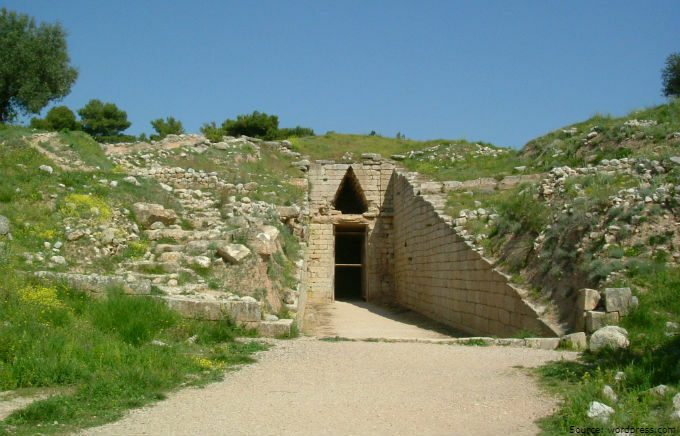 In the photo: the tomb of Agamemnon in Mycenae, also known as the Treasury of Atreus, the father of Agamemnon. Schliemann was not a professional archaeologist, but an enthusiastic self-taught amateur, who cared about the history of the ancient city of Mycenae. He was obsessed with the idea of finding the tomb of the great king Agamemnon. Not surprisingly that the most beautiful of the masks, which was discovered by him in the burial, the ethnographer directly associated with the ruler of Mycenae. In this regard, he named the mask Agamemnon. 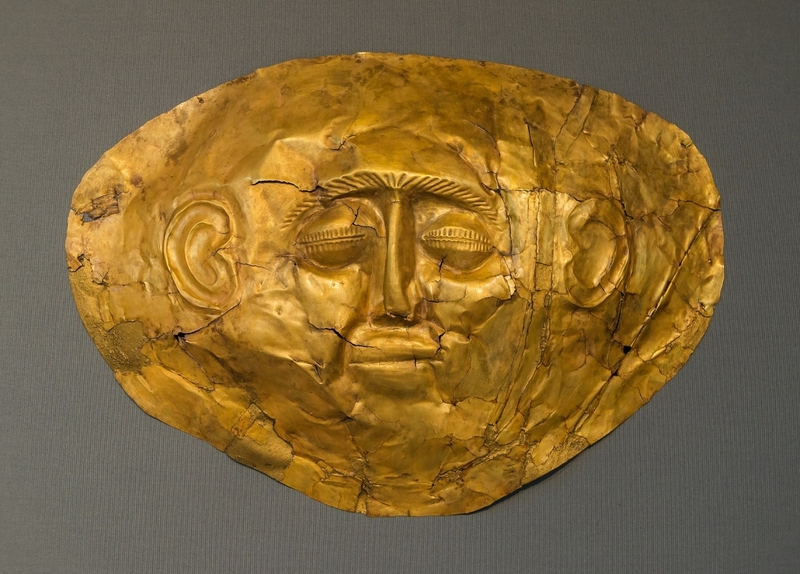 The posthumous mask is made of a thick gold plate and depicts the face of an elderly bearded man of the Indo-European race: close-set eyes, thin nose, large mouth. Mustache ends were raised. Sideburns are visible behind the ears. There were holes in the mask for the threads with which it was attached to the face. As time has shown, Heinrich Schliemann's assumption that the funeral mask belonged to King Agamemnon proved to be wrong. During the research of the gold mask, modern archaeologists have concluded that it refers to 1550-1500 BC and does not correspond to the period when Agamemnon supposedly lived. The mighty monarch of Mycenae ruled three centuries earlier. 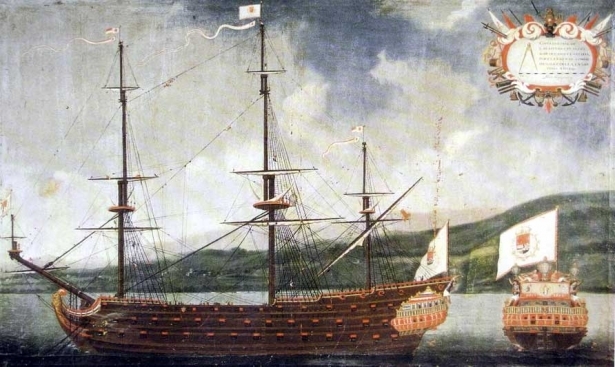 It turned out that the precious item is even much older than the legendary ancient Greek ruler. Nevertheless, the gold funeral mask still retains its actual name. Where the mask can be seen? The gold mask of Agamemnon, like the rest of the valuable artifacts found in the Mycenaean burial, is stored in the National Archaeological Museum of Athens. The inscription reads as follows: "The Mask of Agamemnon, 1550-1500 BC. Gold."